Different conditions compared to what has been heard earlier this year this night in Fredriksfors. No interesting signals from NA early in the night, but when checking instead some from Asianr (most of them from China, but also fom the Philippines). Later in the night some FL-stations from USA but no "hot" stations. Closer to morning some strong signals from Panama and Colombia, but around sunrise some common NA-stations again. Lots of station on the band also this night, most of them from NA, in Fredriksfors. But still it was a disapointment compared to the nights I´ve been out there lately. A disturbance had come and made the band to a “mess”, Very buzzy, strong splash and the signals were unstable, disappeared as fast as they came in, and at times very distorted. Conditions were good - and broad - from NA this night in Fredriksfors. There were early daytimers from en US east coast early in the night, then some hours of more "normal" stations and then also mixed with some from Colombia, Cuba etc. When morning approached also stations from the western part of the continent. Especially strong were the stations from Alberta, Canada. There were still stations after 08 UTC, but at that time local disturbance on our western antennas was to strong to make some interesting weak signals come through. I arrived in Fredrikdsfors just in time (21.50 UTC) to notice a nice opening with daytimers, eg. some quite exciting stations from Virginia. The rest of the night wasn´t quite as good, but good enough. Luckily signals propagated mainly from the east coast – as it showed up that the heavy snowfall in Fredriksfors had broken the antennas in 317 and 255/75 degrees direction. Now we had 285 degrees working and that was quite sufficient to make the night good. Heard in Fredriksfors Jan 3 "mixed food"
"Mixed food” in Fredriksfors this night. I discovered that there were some late Asian signals around, mainly from the Philippines. About the same time the early NA-signals arrived on the 285-degrees antenna. A little later also Puerto Rico came in with strong signals, and some more NA. Later in the night there were many Cuban stations, but also NA on the upper part of the band. Many of the NA:s were, however, rather distorted. Again not so good when it went towards morning, but a glimps (also some signals a little more western) at 08 UTC when signals also was quite clean. Happy New Year - and hopefully a good new year for dx-ing! However, the last night of 2017 in Fredriksfors wasn´t that good for me. 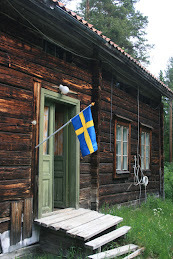 I spent the night there (Dec 30)) together with Ronny Forslund and Peter Stillberg. Signals propagated from eastern USA and Canada, but also Cuba and the rest of West Indies and also some from South America, mostly Colombia. But signals was in most cases rather weak and unstable and also distorted, making it tough to get some id:s.